Professor Muhammad Yunus recently paid a visit to Grameen Foundation headquarters, meeting with leaders and speaking to staff (as well as to staff from RESULTS) during a visit to Washington, DC. 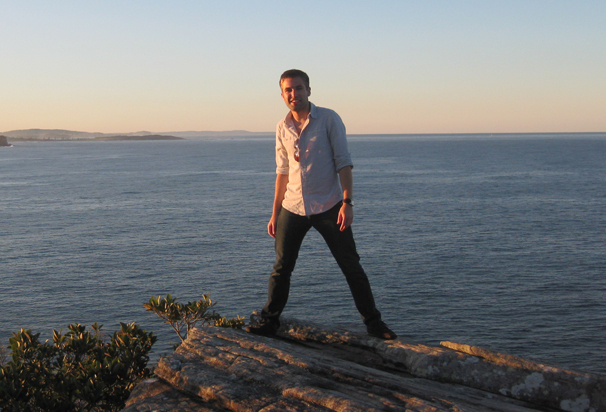 Todd Bernhardt, Grameen Foundation’s Director of Marketing and Communications, was part of an audience who listened to Professor Muhammad Yunus speak, and provides this update on his recent activities. Prof. Yunus recently visited our DC office. It’s hard to believe that it was only a bit more than three months ago that microfinance pioneer and Nobel Peace Prize winner Professor Muhammad Yunus stepped down from his post as Managing Director of Grameen Bank, the poverty-fighting organization that he founded in the late ‘70s. 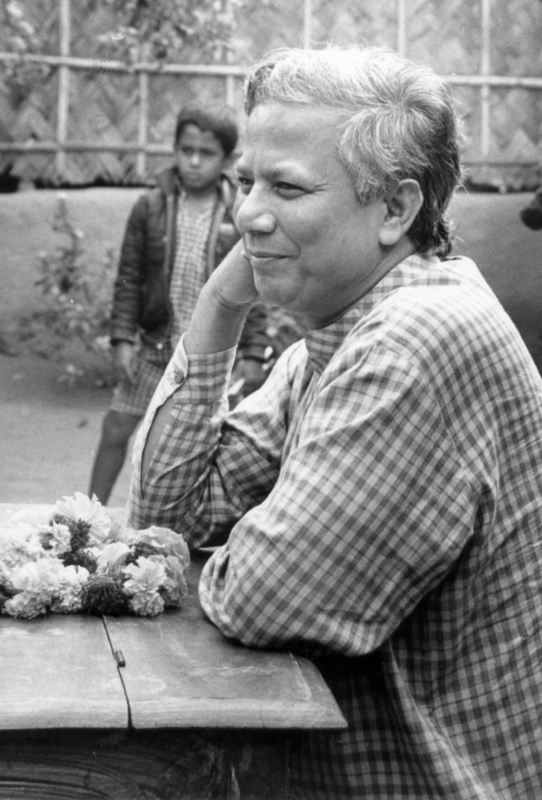 During the government’s campaign to remove him from office (read this Fact Sheet to find out more), many Grameen Foundation supporters voiced their concern about Prof. Yunus and the independence of Grameen Bank, and have wondered about his activities since then, asking us to provide an update. A recent visit by Prof. Yunus to Washington, DC, provided us with an opportunity to catch up with him personally, while demonstrating to everyone who spoke with him that his commitment to fighting poverty through innovative solutions remains as firm as ever. Grameen Foundation President and CEO Alex Counts welcomes Prof. Yunus (right) while Microcredit Summit Campaign Director and RESULTS founder Sam Daley-Harris listens. Prof. Yunus stayed in Washington from Aug. 10-13, giving a keynote speech at the annual forum of InterAction (an alliance of U.S.-based international NGOs focusing on the world’s poor and vulnerable populations), making several media appearances (he spoke with NPR’s Kojo Nnamdi and Andrea Stone at The Huffington Post) and meeting with U.S. Secretary of State Hillary Clinton, as well as officials from the U.S. Agency for International Development. He also met with a number of leaders in the international-development community – including Grameen Foundation President and CEO Alex Counts and Sam Daley-Harris, Director of the Microcredit Summit Campaign and founder of RESULTS, a anti-poverty lobbying organization – and spent a morning speaking to the staff of those organizations at Grameen Foundation’s DC headquarters. In all of his visits, Prof. Yunus emphasized the need to develop and popularize the social business, which he wrote about in his book Creating a World Without Poverty: Social Business and the Future of Capitalism. Simply put, social businesses are for-profit entities created primarily to serve a social goal. Such businesses strive to generate modest profits that are used to fund and expand operations, rather than to pay dividends to investors. Since his departure from Grameen Bank, Prof. Yunus has continued to advocate for its independence from government control and to defend the interests of the Bank’s 8.3 million borrower-owners (97% of whom are poor women). Bank employees have continued to keep operations running smoothly while the Bangladesh government has seemingly turned its attention away from the Bank to unrest in the country caused by, among other things, moves to amend the constitution to remove the non-party caretaker system that oversees the country during general elections. Prof. Yunus talks to staff at Grameen Foundation’s DC headquarters about the Asian Social Business Forum recently held in Japan, while Sam Daley-Harris and Alex Counts look on. Prof. Yunus has been traveling the world explaining the social-business concept, meeting with enthusiastic responses in the developed world (he told the group about a recent and very successful visit to Japan, which is looking at social business as an approach in rebuilding after the tsunami of last March) and in the developing world (he has been invited to visit Haiti in October to show people there how the concept could help them improve civil society). In addition to describing a successful series of events that were held around the world on Social Business Day, June 28, he said is looking forward even more to a series of meetings in November, including the Social Business Summit in Vienna on Nov. 10-12, and the Global Microcredit Summit in Spain on Nov. 14-17. In taking questions from the staff at Grameen Foundation offices, Prof. Yunus emphasized the power of the individual, as well as our responsibility to empower them – all for the overall good of society. “Peace can be threatened by poverty,” he explained. 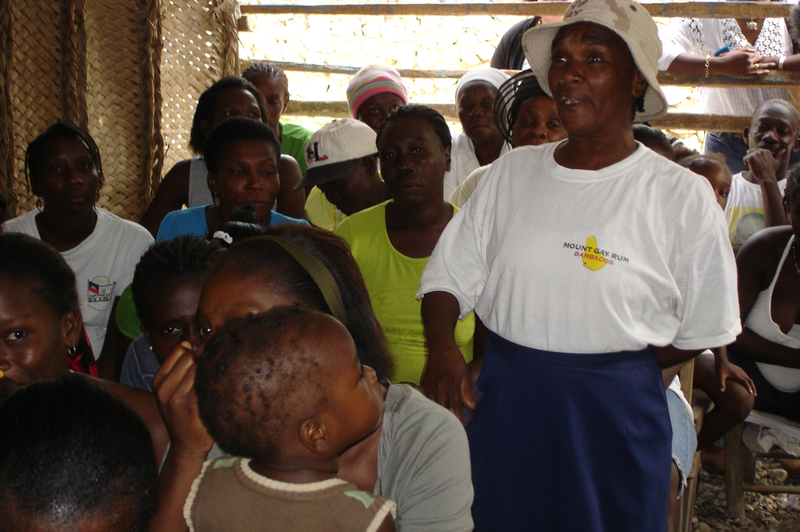 Microfinance and social businesses create opportunities that “keep people from being dependent … and helps them channel their energies into positive avenues, away from violence.” Creating such opportunity, he said, also helps to address inequalities on a larger scale – between groups of people and even nations – reducing tensions and resentment. A network of people who support Grameen Bank and its founder, microfinance pioneer Professor Muhammad Yunus, has put together a short, factual summary of the recent confrontation between Professor Yunus/Grameen Bank and the Bangladesh government. It’s meant to be a quick read that will help people separate fact from fiction, with plenty of links to key documents for those who want to dig deeper. There has been much misinformation circulated in the media and around the web about these issues, so we hope this will prove to be a reference that people can easily share, to enable supporters of microfinance to spread the truth. This fact sheet will be updated as conditions change; to read, share or download the most recent version of this fact sheet in PDF format, visit the Friends of Grameen website. The international media recently has been full of stories and speculation about Professor Muhammad Yunus and Grameen Bank, joint recipients of the 2006 Nobel Peace Prize for their work fighting poverty. Because of false accusations against Professor Yunus and the Bank – including emails and other materials widely distributed by Sajeeb Wajed, the son of Bangladeshi Prime Minister Sheikh Hasina Wajed, as well as by other government officials – many of the stories were inaccurate and confused. Though Grameen Bank has responded to these allegations through the media and other means, unfortunately this disinformation campaign has continued, so we feel that it is necessary to create this fact sheet, which contains a quick review of the events as they’ve happened, as well as resources for those who want to know the truth. In late November 2010, a Norwegian television network aired a documentary called “Caught in Micro Debt” that made a number of false accusations about Professor Yunus and Grameen Bank. For example, it said that funds received from a Norwegian aid agency, NORAD, were improperly transferred between Grameen Bank and Grameen Kalyan, its non-profit sister organization. This matter was clarified and settled between NORAD and Grameen Bank in 1998. After the documentary aired, Norway promptly investigated the transaction again, and again said there was no improper use of funds. The documentary also claimed that Grameen Bank charged from 30% to 200% interest, but a study of Grameen Bank’s interest rates by leading authority MicroFinance Transparency noted that “Grameen has an extremely simple and transparent pricing system,” while a report by the Review Committee appointed by the government (see below) to examine the Bank noted that it has the lowest interest rates of any microfinance institution in Bangladesh, with 20% being its top rate. Even though Prof. Yunus has resigned his post as Managing Director of the bank he founded, the Bangladeshi government has continued to pursue efforts to take over Grameen Bank, and even to take control of unrelated social businesses that share the Grameen name. Even so, the Bangladesh government – led by Prime Minister Sheikh Hasina Wajed, who reportedly has viewed Professor Yunus as a political rival since he looked into setting up a political party in 2007 – led a campaign to force Professor Yunus from his post as managing director of Grameen Bank, with the 77-year-old finance minister, Abul Maal Abdul Muhith, claiming that the 70-year-old Yunus was “too old” for his post. At a press conference following release of the documentary, the prime minister stepped up the rhetoric, accusing Professor Yunus of “sucking blood from the poor in the name of poverty alleviation.” Other officials of her government, including the Foreign Minister, the Agriculture Minister, top Awami League officials and special advisors, made repeated false allegations and personal attacks against Professor Yunus. Muhith repeatedly asked for Yunus’s resignation, but Professor Yunus declined, reminding Muhith that – according to the Grameen Bank Ordinance of 1983 – only the Grameen Bank Board of Directors had the right to hire or fire the managing director, since the Bank is an independent entity. (The Bank’s board comprises 13 people, three of whom – including the chairman – are appointed by the government, with nine being elected by the Bank’s 8.3 million borrower-owners, and the managing director as the remaining member.) The government then stepped up the pressure by appointing a disgruntled ex-employee and vocal critic of Professor Yunus, Muzammel Huq, as chairman of the Grameen Bank Board in January. In early March, the Bangladesh Bank (backed by the Finance Ministry) informed Grameen Bank that Professor Yunus had been acting as managing director without its consent, which it claimed was a violation of its rules. The letter also cited his age as a factor, and called on the Board to take appropriate action. Grameen Bank immediately responded to these allegations, showing that the Bangladesh Bank had given express approval of his appointment, and that his appointment had been extended formally and indefinitely. Professor Yunus and the nine independent Directors then began a legal process to declare the letters invalid. After the country’s High Court summarily dismissed the petition, the petitioners turned to the Appellate Division of the Supreme Court, which in early May also dismissed the petition, despite well-reasoned and impassioned arguments from Grameen Bank’s attorneys. Grameen Bank has fully cooperated with a Review Committee set up by the Bangladesh government to examine the Bank’s operations. The Review Committee’s report, submitted to the Finance Ministry in late April, confirmed that there was no wrongdoing involved in the transfer of Norwegian aid funds, and acknowledged that Grameen Bank’s interest rates are the lowest in the country. The Committee found no evidence of mismanagement or personal corruption among Grameen Bank employees, complimented Bank staff on their cooperation, and acknowledged the tremendous contributions made by the Bank on the country’s socio-economic condition. However, the Committee’s incorrect assumptions that Grameen Bank is a “government bank” and other incorrect findings prompted a detailed refutation by Grameen Bank. On May 12, Professor Yunus announced he resigned from his post as managing director of the Bank, handing the position to Deputy Managing Director, Nurjahan Begum, while the Board conducts a search for a permanent replacement. In a letter to his colleagues at the Bank, as well as a letter to the Bank’s borrower-owners, he emphasized the importance of maintaining the Bank’s independence, which the government is threatening to take away. Professor Yunus has worked tirelessly to create other independent social businesses committed to promoting social good. It now seems as if the government is now looking to take control of these enterprises, too. 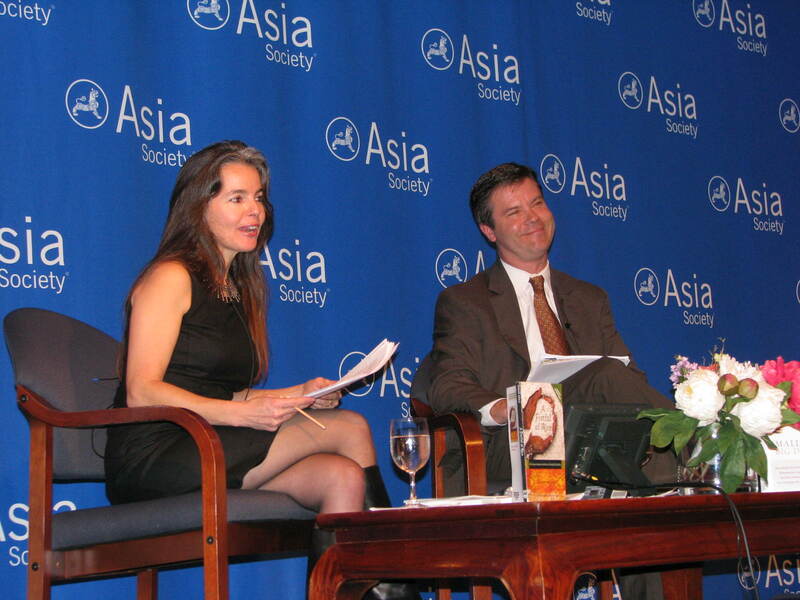 Throughout this period, a network of supporters inside and outside of Bangladesh – millions of everyday people, as well as well-known politicians, diplomats and business leaders – have contributed their time and effort to protect the reputation of Professor Yunus and the independence of Grameen Bank. In addition, 3.7 million of Grameen Bank’s borrower-owners signed a petition asking that Professor Yunus stay involved with the Bank in some capacity. You can help spread the truth and defend the independence of Grameen Bank by sharing this document with your friends, by voicing your opinion on social media channels (Facebook, Twitter, blogs, etc. ), and by keeping informed about the latest Grameen Bank and Yunus Centre news. 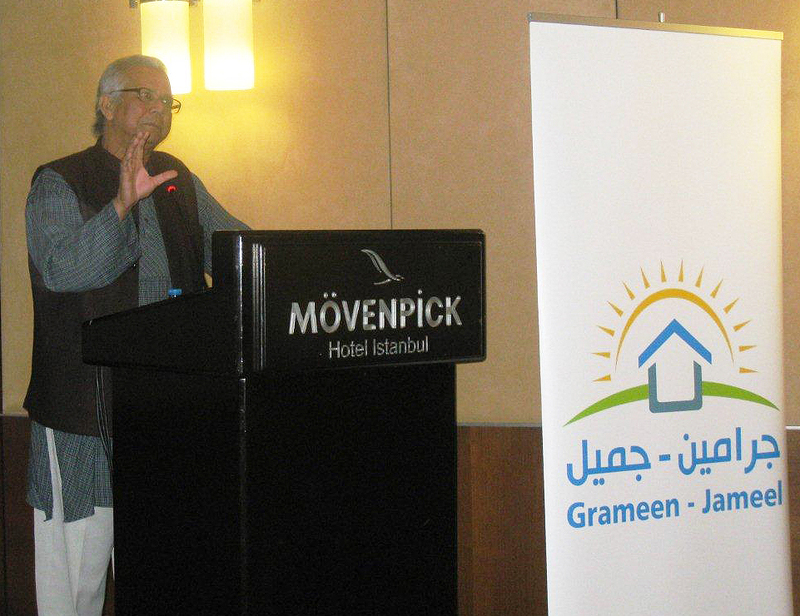 Grameen Bank must remain independent and free of government interference. Professor Yunus should be made chairman of Grameen Bank’s Board of Directors, to ensure smooth transition of the Bank’s management. The government must respect the authority of the Bank’s Board of Directors, and not change its composition or reduce the number of elected directors, which would weaken the voice of its borrower-owners. 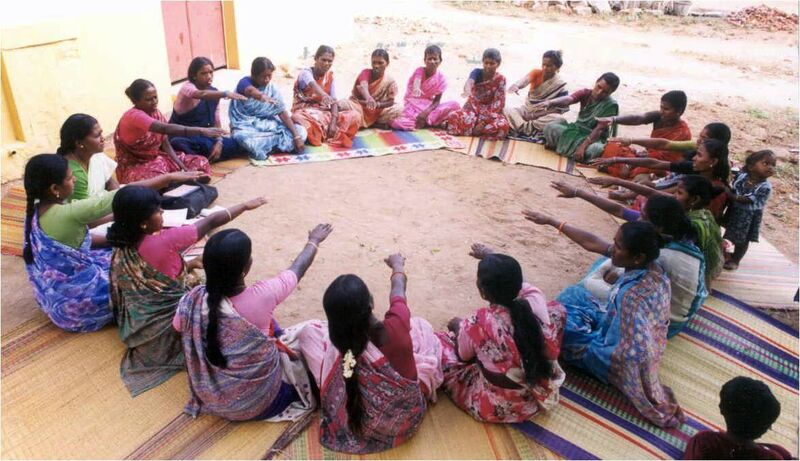 Other Grameen organizations, established as independent social businesses, should remain independent and free of government interference. Statement from Alex Counts, President and CEO of Grameen Foundation, on the resignation of microfinance pioneer Professor Muhammad Yunus, winner of the 2006 Nobel Peace Prize and founder of Grameen Bank. The resignation of Professor Muhammad Yunus yesterday marks an important transition in the work and mission of Grameen Bank. For 35 years, his deep commitment to the world’s poorest people and unshakeable belief in their power to help themselves escape poverty have shaped the work of the Bank and its more than 26,000 employees in Bangladesh. His ideals, which have inspired countless others and helped to build a global movement to empower the poor through access to financial services, do not end with his term as Grameen Bank’s managing director. Throughout his career, Professor Yunus has never been afraid to speak his mind nor challenge the status quo, earning both praise and criticism in many quarters. He dispelled prevailing notions about the abilities of poor people by creating Grameen Bank, which today serves more than 8.3 million people across Bangladesh. His recognition of poverty’s complexity also led to the creation of the Grameen family of companies, which focus on solving problems related to a range of issues, including hunger, educational disparities and access to affordable energy. 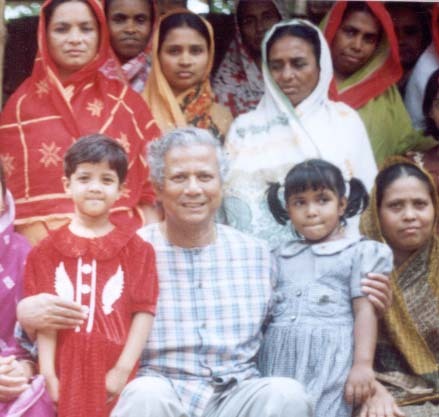 (For more information about the Grameen family of companies, see M. Khalid Shams’ paper, Accelerating Poverty Reduction in Bangladesh Through the Grameen Family of Companies: Building Social Enterprises as Business Ventures]. That voice of reason will continue to echo, as will his unrelenting quest to promote social businesses and other changes that benefit poor people. 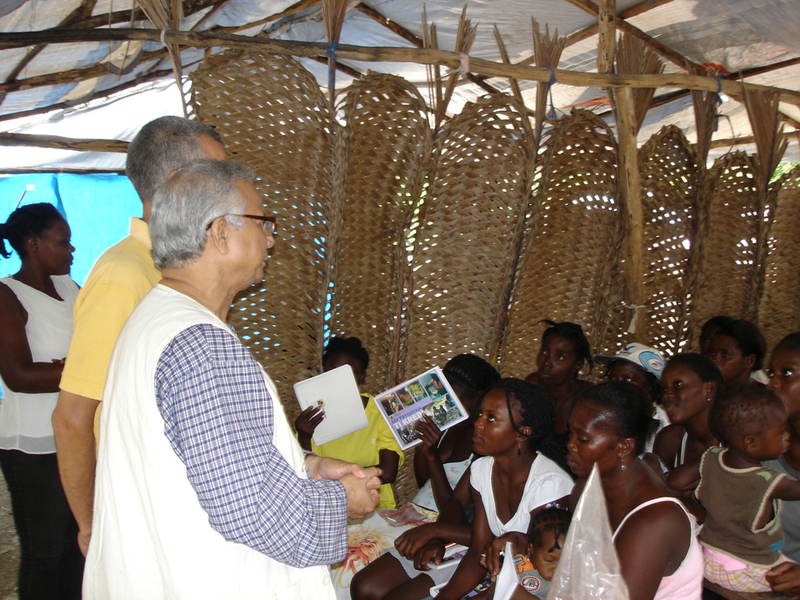 Prof. Yunus has always focused on serving the poor in Bangladesh, and around the world. His bold vision of a world free from poverty has unleashed a powerful force that will continue, both in Bangladesh and abroad. I’m proud to say that he planted the early seeds of Grameen Foundation. He also played a pivotal role in launching the Microcredit Summit Campaign in 1997, which achieved its nine-year goal of reaching more than 100 million poor families with microcredit – and has now launched a second goal of reaching 175 million by 2015. Equally important, he has inspired individuals in such diverse places as Haiti, India and Nigeria to launch organizations modeled after Grameen Bank to provide hope and opportunity to poor people in those countries. Statement of Nobel Laureate Professor Muhammad Yunus on the Occasion of Supreme Court Verdict on May 5, 2011 Regarding His Removal from Grameen Bank. Professor Yunus voiced his concern after revelations surfaced surrounding violence against employee leaders of the Bank. Those interested may also want to read in the Bank’s point-by-point refutation of the allegations brought up in the government’s Review Committee report, as well as by the nation’s government-aligned media. You have already heard the verdict from the Supreme Court. Why did I appear before the Court? Why did I want to contest the order of Bangladesh Bank? Why there is so much concern about this issue at home and abroad? There may be some confusion regarding these questions. Please allow me to share my feelings with you to remove this confusion. I went to the Court for a specific reason. Bangladesh Bank sent a letter to Grameen Bank, removing me from my post as Managing Director of Grameen Bank. The letter also mentioned that I held this position for the last eleven years illegally. Bangladesh Bank did this without giving me a chance to explain my position. I felt that this letter was not legally correct, and through this letter, not only was I been wronged, but so was Grameen Bank. Nine elected members of the Board of Directors of Grameen Bank felt the same way. That is why the nine members of the Board and I filed separate writs in the High Court. We wanted these wrongs to be corrected. Therefore, we had to seek justice through all avenues offered in the Bangladeshi judicial system. This is what we have done. In the event that the Honorable Court stated in their final decision that the letter from Bangladesh Bank was issued without lawful authority, I could continue my work with Grameen Bank and make the transition to a capable management as smoothly as possible. But, if the Court verdict went against us, the Board may be forced to take steps to implement the content of the Bangladesh Bank letter. This was the only reason for me to take this matter to the Court. I had no option but to seek justice in this matter. It is indeed a much wider and much more significant issue to save the future of Grameen Bank and also to protect the hopes and dreams of the over 8 million borrowers. These borrowers are also the owners of 96.5% of the Bank’s shares. The Bank is connected with 40 million microcredit borrowers in Bangladesh, and its impact on all these people cannot be neglected. What happens to Grameen Bank influences the future of the millions of Bangladeshis who benefit from microcredit activities, as well as the future of the institution of microcredit itself. It is actually a great concern for me, and many others, that I properly fulfill my responsibility to safeguard their future before and after leaving the post of Managing Director of Grameen Bank. Some have said that, instead of going to the court, it would have been more honorable for me to resign from my position as suggested by the Finance Minister. I do not think so. In that case, the end result would have been the same, so far as my exit is concerned. But I would have suffered from carrying the guilt of knowingly accepting an unexpected proposal and putting the borrowers and their families’ futures at risk. I could not do that. Millions of borrowers like the ones seen meeting above could be adversely affected by a government takeover of Grameen Bank. Some people felt that I intend to cling to the position of Managing Director of Grameen Bank. But, the nation knows that this position is not my life’s goal. I was, and am, conscious of the fact that my future work will not be based on my holding on to this position, but rather, it would be working with the young generation, from other platforms to address the problem of poverty at home and abroad. I want to do that without jeopardizing the interests of Grameen Bank. This is the thought which prompted me to write the letter to the Honorable Finance Minister one year ago. I suggested two options to him for a transition that could take place without creating any waves within the Bank. I did not get any response to these proposals. I was, instead, told to quit. It is, therefore, unfair to me to suggest that I am holding on to the of position of managing director unjustly or to allege that I am not co-operating in the process of transition. For the last few months, a section of the media devoted itself fiercely to campaign against me, Grameen Bank, and the concept of microcredit. Everyone has his own explanation why this is happening. The cause of my concerns, as well as those of the nation and the world, lies here. These concerns are more for Grameen Bank and the future of its millions of borrowers, than for me. For this reason, I have been reminding you repeatedly that undertaking the transition process of Grameen Bank’s management in an unfriendly environment will only cause harm to the future of the Bank. I have always wanted to make sure that the transition takes place in a friendly, mutually supportive environment, so that the achievements of Grameen Bank may continue without interruption. There are many issues related to this. The big questions are: whether Grameen Bank can maintain its independent existence, and whether it can be successful in keeping itself away from political influences. What actually happens to financial institutions in our country if political influences start playing a role in these institutions is common knowledge. This experience will not inspire trust in the borrowers. We all know how important the role of trust is in the operation of Grameen Bank.